Now, this is how Steven Moffat’s “loose two-parters” format can work! Doctor Who’s often dealt with how the Doctor’s long lifespan affects his view on humanity (I always remember School Reunion – the Tenth Doctor melancholically explaining how companions come, go, and die to Rose – but there are more examples). Similar material was covered in Torchwood with Captain Jack’s immortality; I mention that because this episode’s writer, Catherine Tregenna, wrote some of the best Torchwood episodes dealing with those themes. 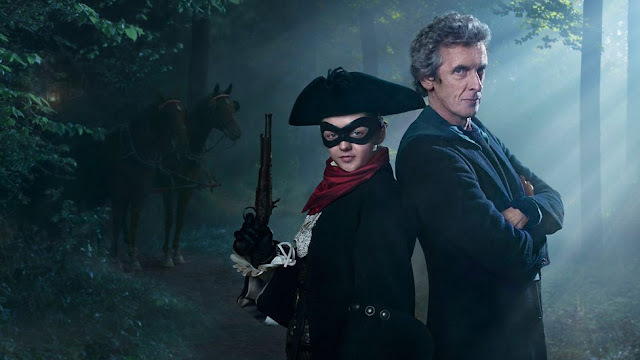 And yet with The Woman Who Lived, Tregenna finds a new way into the theme – pairing the Doctor with a character who shares his immortality but hasn’t allowed herself companions, and so has become the cold, uncaring killer that he’s always been stopped from becoming (The Fires of Pompeii, The Girl Who Died, and The Woman Who Lived would make a cracking triple-bill). The dialogue recalling how she became like this is achingly good – “What could be worse than losing your children?” “I keep that entry to remind me not to have any more.” Peter Capaldi and Maisie Williams are extraordinary together, with Williams’ performance here very different to last week’s – cold, alone, determined to get by on her own but longing for new experiences. It's a far cry from the passionate Ashildr, a character much more rooted in one environment, and enough to shake off any criticisms that she was just doing another Arya Stark. Of course, the Doctor manages to bring some of Ashildr’s passion back into Me, reminding her that, though human lives may seem fleeting, they do matter. There’s an interesting subtext there – Me’s privilege of immortality makes her, as the Doctor says, “desensitised to the world”, and she needs reminding how all life is equal. Intentional or not (and I think it is), doesn’t that resonate with modern Western life, in which the amount of atrocities on the news can make it easy to forget that every single life is important? I like how the current format's able to ditch Clara for an episode (no offence, Jenna), without the need for a Midnight-style “I think I’ll stay by the pool” scene. Interestingly though, this episode was as much about Clara as any this series, with its theme of human mortality. We’ve all seen the signs, right? All the episodes this series (except, ironically, Moffat’s) have had a scene where the Doctor’s said something along the lines of “don’t go running off Clara, I wouldn’t want you to die” to the point that I’d be surprised if she didn’t kick the bucket in the finale. I am worried about how this’ll play out, given the unholy fiasco Steven Moffat has made out of companion “deaths” in the past (just go back to 1940s New York, Doctor, it’ll be fine), but the foreshadowing that Tregenna, Mathieson and Whithouse have planted is sublime. 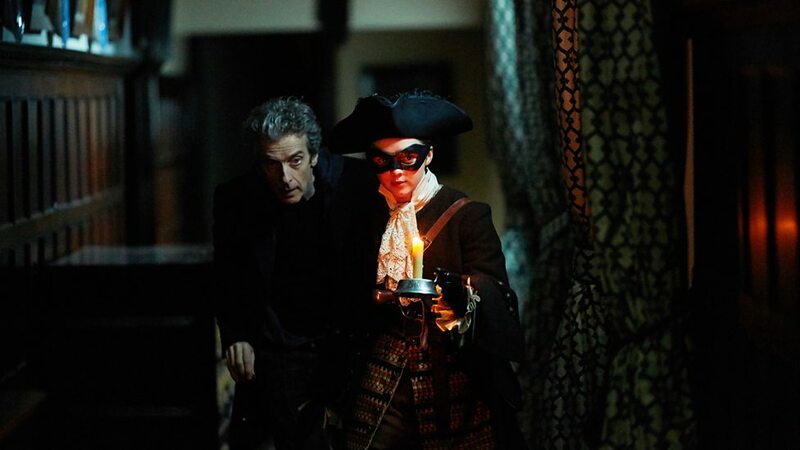 This episode’s final scene in the TARDIS, though it seems slight, is so good. The hug, the guitar slinging across his back, and more than anything, the tiniest change in the Doctor’s expression in that final shot, dread infringing upon his caring smile. Where The Woman Who Lived falls apart, though, is in its actual plot – where it tries to do the things a Doctor Who episode usually does. It’s an odd counterpoint to The Girl Who Died, which also focused on building character but had enough original detail to the villains and enough genuine threat to allow it to stitch its character threads convincingly. Here, it all seems incredibly half-arsed. Quarter-arsed, even. 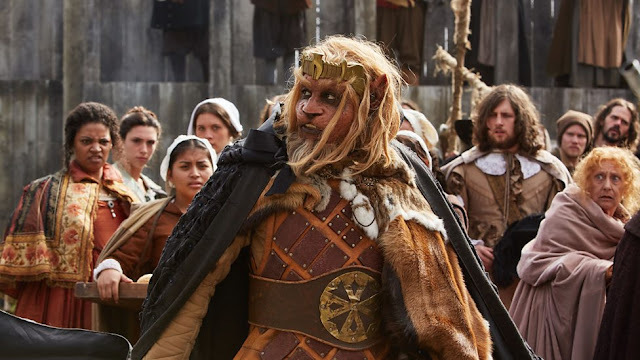 The old Russell T Davies trope of the animal-headed humanoid villain returns, and what’s this lion-themed species called? The Leonians. Ho-hum. Whop in a reference to Greek mythology for good measure and we’re done. Still, no one can polish a turd quite as enthusiastically as Peter Capaldi - look at his grin when delivering “could it be that the mythology originated on another planet?” and tell me his delight doesn’t rub off on you. The comedy flops, too – Rufus Hound as Sam Swift needs to be a scene-stealing bit of comic relief (think Nick Frost in Last Christmas or even Michelle Gomez in Magician’s Apprentice/Witch’s Familiar), but, well, none of the jokes are very funny. The funniest line, the Doctor objecting to Swift’s puns and banter, is pretty much lifted from Robot of Sherwood. A disinterest in its own plot and shoddy humour may seem like major faults for a Who episode, but you know what? Ultimately, I don’t think they matter. What The Woman Who Lives lacks in excitement, it more than makes up for in introspection. Pairing the Doctor up with an uncaring mirror of himself is a very clever take on an old theme, and one that feels well placed at the midpoint of this season. 18-year-old Williams is compelling as the 800-year-old loner, and it barely needs repeating that 57-year-old Capaldi convinces as someone who’s filled up his 2000 Year Diary. The scenes between the two, with Tregenna’s staggering dialogue, are proper, original Doctor Who. “Purple. The colour of death.” – No elaboration will ever be given on that. “Sam Swift will ‘ang at Tyburn at nooooooon.” – It may read as boring, but go back and rewatch the bit part actor’s immensely camp delivery (it’s 29 minutes in). A masterclass in turning a tiny role into something amazing.